Explore the Grape Tours encompass our passion for great wines. Experience all the elements that make Two Sisters Vineyards the ideal place to savour world-class wines and tour our beautiful estate grounds. The tour is approximately 45 minutes and includes a private structured tasting of three wines with a Wine Consultant. 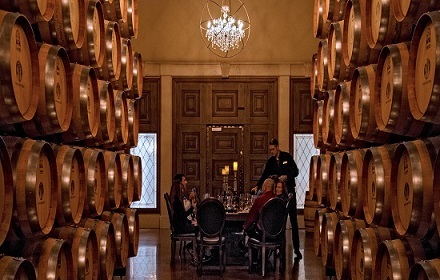 You will participate in a tour of our winery, followed by an intimate Barrel Tasting in our cellar, where you will savour the aromas of our French oak barrels lingering in the air. Tour Reservations: Please contact us by email to book directly.